A UFO disclosure organization was recently contacted by a high-ranking government official carrying a powerful message: in less than 2 months, the U.S. –and the rest of the world — will know the truth about aliens and UFOs. The Paradigm Research Group, a consortium of well-meaning truth seekers might go down in history as the organization that got the scoop on the most controversial news piece of the century: the official admission of the existence and continued of intelligent extraterrestrials on planet Earth. The PRG holds a top position in the quest for UFO disclosure and they’ve been continuously lobbying Congress members in hope they will find someone willing to declassify the secret dossiers pertaining to the controversial subject. In a recent statement, the Paradigm Research Group claimed they were contacted by a government whistleblower “within the military/intelligence community” whose message was that top brass was finally ready to open the can of worms. He claimed the intelligence officials are willing to collaborate with the Secretary of Defense towards the long-due disclosure and that they will do so while Barack Obama is still in the White House. Persons who are directly involved in the management of the extraterrestrial issues want disclosure to take place under President Obama and are ready to work with the SecDef (Secretary of Defense) if approached,” the whistleblower’s email read. This statement came in a time where hopes were raised like never before regarding the possibility of an official admission. 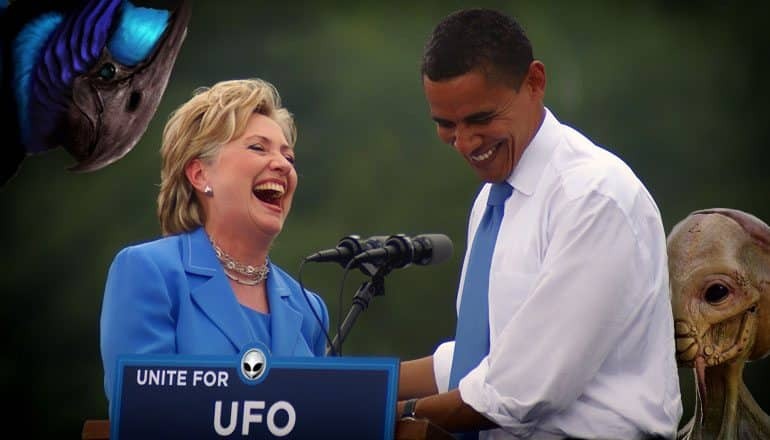 Last December, while campaigning in New Hampshire, Hillary Clinton made a bold promise: she claimed that if elected president, her best efforts would go towards “getting to the bottom” of the UFO mystery. 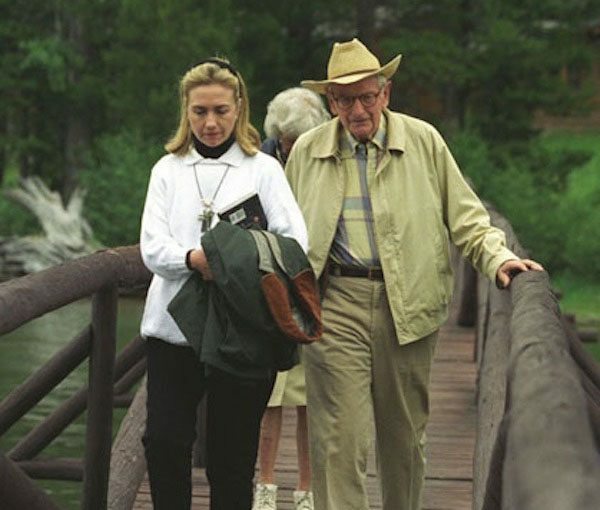 Back then, Clinton admitted there was a real possibility that extraterrestrials might have visited Earth while vowing she would establish a task force aimed at investigating the mysteries hidden at Area 51. Many took her on her promises, only to become greatly disappointed when came second in the election. Among them was Stephen Bassett, executive director of the Paradigm Research Group and the only certified UFO disclosure lobbyist in the United States. In May, Bassett raised all of our expectations when he claimed President Barack Obama was “on the brink” of making the earth-shattering ET disclosure a reality. This [UFO Disclosure] will be a reality this year and across the front pages of newspapers across the world. The most significant news story that has ever been broken,” Bassett told the Daily Express. Citing the ever-growing interest in UFOs and aliens, Bassett believed 2016 will forever go down in history as the year they finally admitted aliens are here and probably always have been a presence on the planet we call home. Bassett and the PRG were hoping that Clinton would go ahead and uncover the truth should Obama fail to do that while he’s still president. When Trump won against all odds and expectations, it seemed the fruit of their decade-old labor was drying up right before their eyes. “What is going on here? PRG has publicly stated the agenda of the Clinton team has been to disclose the extraterrestrial presence to the American people (and the world) if and when she became president of the United States. That option is removed,” the whistleblower wrote. Although the managers of the ET issues are constrained by the highest level of classification, PRG is now convinced they are ready to provide that information because there is a growing internal consensus Disclosure must take place under President Obama. Unfortunately, this has to take place soon if it’s going to happen at all. This is great news for alien enthusiasts, but don’t get your hopes up. We’ve been lied to before.